There is only one month left to enter the Many Languages, One World® 2017 contest! 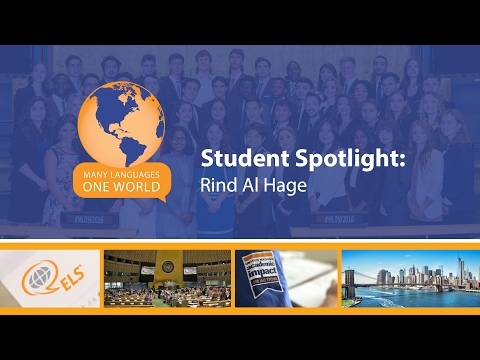 Watch the video to see how Many Languages, One World 2016 has changed winner Rind Al Hage’s life. Rind, originally from Lebanon, participated in the 2016 Many Languages, One World Contest and Global Youth Forum and was a member of the English language group. Since participating in Many Languages, One World (MLOW), Rind was a guest speaker at the United Nations Educational, Scientific and Cultural Organization (UNESCO) regional office in Beirut, Lebanon and participated in a round-table at the Sixth International Forum of NGOs in Mexico. “Thanks to MLOW, I now consider myself to be an active citizen of the world and I’m enjoying every moment of it,” said Rind.